It was October last year when Apple proudly launched its all new MacBook Pro computers, some of which sported the long-rumored OLED touch bars that replace the function keys. Apple continues to be very pleased with the new feature, but not everyone, including one former employee, feels the same way. 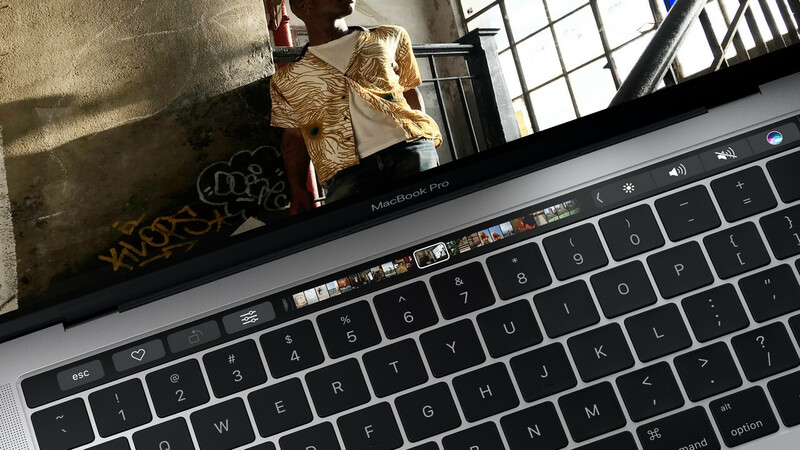 In a blog post by Chuq Von Rospach, a writer who worked at Apple for 17 years, he complains that Apple is essentially forcing those who buy a high-end MacBook to pay extra for the Touch Bar, even though they don’t necessarily want or need it. The current [MacBook Pro] line forces users to pay for the Touch Bar on the higher end devices whether they want it or not, and that's a cost users shouldn't need to pay for a niche technology without a future. After Rospach moved from his 2016 MacBook Pro to a newly purchased iMac 5K, he found that he didn’t miss the laptop’s Touch Bar at all, and missed the Touch ID fingerprint sensor “a lot less” than he expected. Is there a solution? He suggests either expanding the Touch Bar and Touch ID to the entire Mac line through a new standalone keyboard, or Apple needs to introduce more laptops without Touch Bars. Due to the popularity of his article, Rospach has added another blog post with more thoughts on the future of the Touch Bar and Touch ID, and reaffirms his belief that Apple will release a Touch Bar-enabled keyboard. Check it out here.